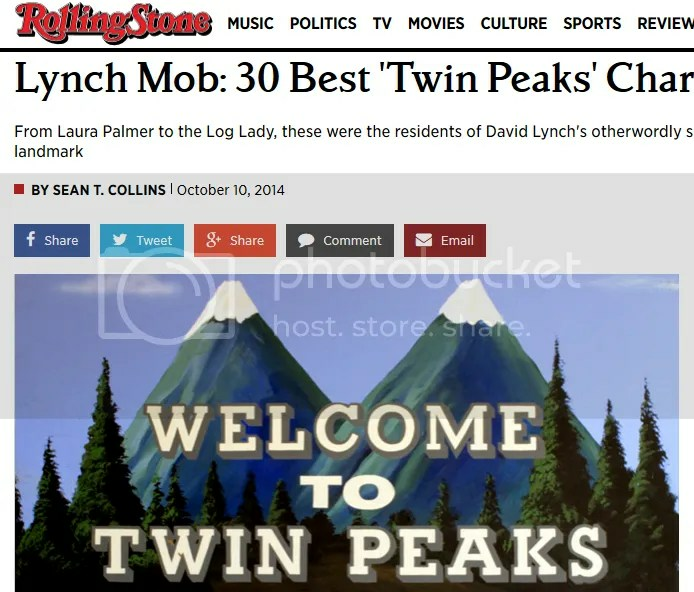 Twin Peaks is all over the internet. Lots of great sites to visit. Here I’ve listed my top four faves. Think a list of top 4 is weird? Well, I’m embracing the weird here. 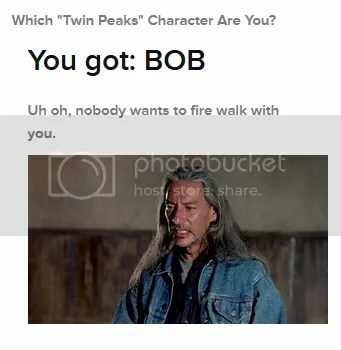 #1 Buzzfeed: Which Twin Peaks character are you? Oh, who doesn’t love a Buzzfeed quiz? It’s all in good (very dark) fun. Especially if you get the result I got: BOB. Uh oh. I like this simple breakdown of characters. Reminds me how packed this show was with rich storyline and fascinating personalities (some likened the show’s narratives and pace to soap operas, which was, I’m sure, not an accidental likeness on Lynch’s part). This site will help you find locations where the series was filmed in Washington state and California. It’s got great photo summaries of each episode, and an extensive links list. Talented knitwear designer Lee Meredith used it as a guide for her own Washington Twin Peaks excursion. Check out this post on her blog for beautiful photos and great details. Inspired by the show’s ever-growing influence on today’s art, fashion, music, film, television, design or just about any other aspect of popular culture, Welcome to Twin Peaks aims to demonstrate that even though more than two decades have passed, Twin Peaks is still relevant. I particularly like the fun stuff he’s got under “inspiration”, which includes a golden girls/twin peaks mash up and a video of the intro recreated entirely with paper. 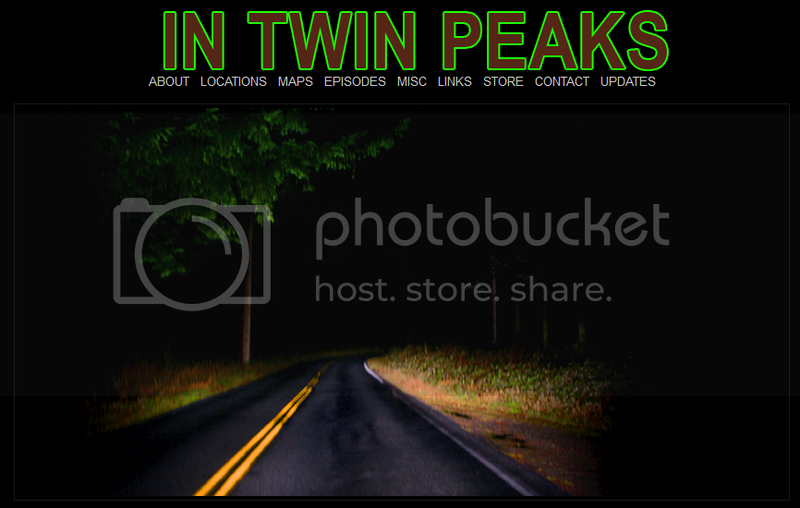 This is the first place I go when I want to find Twin Peaks info, from the fun, esoteric, factual, and unusual.